Our patients always determine the pressure and depth of the massage based on their personal preference. Essential oils for calming, energizing, healing injuries, promoting immunity, improving circulation and reducing edema may be suggested to further accomplish our goal during a massage. Optimal results are obtained by incorporating acupuncture to address the core issue once it has been isolated. A trigger point is a tight area within muscle tissue that causes a referred pain in other parts of the body. The pain may be sharp and intense or a dull ache and is common in athletes and in people who work on computers for extended periods. Trigger point massage therapy is specifically designed to alleviate the source of the pain through cycles of deep isolated pressure and release. Active Release Technique (ART) is used to treat problems that involve the muscles, tendons, ligaments, fascia, and nerves. The main goal is to re-establish proper movement between muscles and fascia while reducing fibrous adhesions. This technique benefits patients with acute, chronic, overuse, repetitive strain injuries and postoperative cases of all types. Myofascial Release is a technique that involves applying sustained pressure with long strokes into the connective tissue restrictions to eliminate pain and restore motion. Neuromuscular therapy is a specialized form of deep tissue massage using pressure and friction to release areas of strain in the muscle. It is beneficial in treating injuries and pain syndromes. 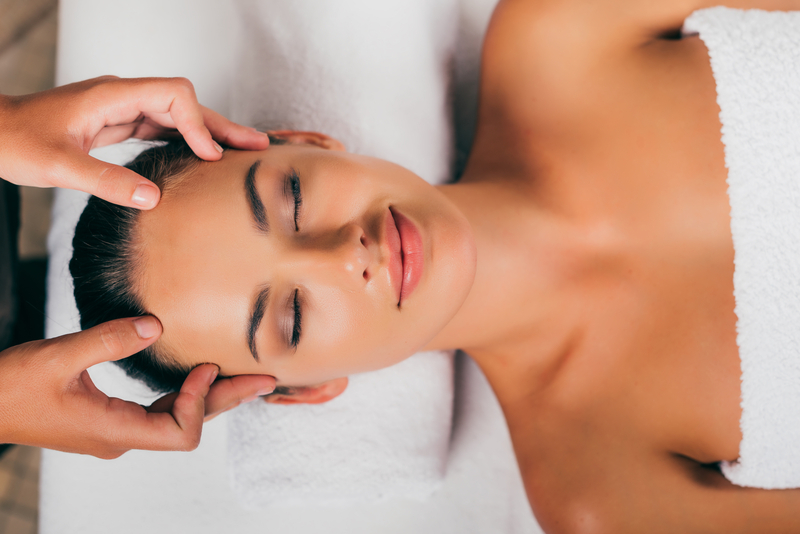 Craniosacral therapy is a noninvasive form of bodywork that is intended to relieve pain and tension. Gentle manipulation of the skull, spinal column and sacrum release compression in those areas which alleviates stress and pain. It is an excellent treatment for headaches and TMJ (temporomandibular joint disfunction of the jaw). Alleviating stress on weight-bearing joints and myo-fascial structures. Improving many of the common discomforts experienced during pregnancy: muscular discomforts, upper and lower-back pain, leg cramps, sciatica, hip joint pain, tension and knots, headaches, edema of the lower extremities, and neck pain. Increasing blood circulation, providing more nutrients to restricted areas. Assisting in the maintenance of good posture throughout the pregnancy. Preparing the mother-to-be for an easier delivery, promoting relaxation and stress relief. Offering a natural, safe, drug-free alternative for pain relief and discomfort. Sports massage promotes flexibility, reduces fatigue, improves endurance, helps prevent injuries and prepares the body and mind for optimal performance. Sports massage can be used pre-performance, post-performance, during training, or for rehabilitation. Optimal results are obtained by incorporating acupuncture. Lymphatic massage (also called manual lymph drainage) is a technique developed for treatment of lymphedema which is an accumulation of fluid that can occur in circulatory and kidney disorders, or after lymph nodes are removed during surgery in cancer patients. When lymph circulation stagnates, fluids, proteins, fats, cells and toxins accumulate, and cellular functioning is significantly compromised causing numerous physical ailments. This gentle technique moves fluids through the lymphatic system, reducing inflammation, removing toxins/wastes, and boosting our immune system. A hot stone massage is a variation on classic massage therapy using hot stones. The warmth of the stones is soothing and relaxes the tissues much faster than the therapist’s hands alone thereby improving circulation and calming the nervous system. Muscle tension melts away and the “healing experience” is profound. Cool marble stones are occasionally used during a treatment, particularly if there is inflammation. People with infectious skin disease, rash, or open wounds. Recommendation: Have a light meal a few hours before your treatment (a heavy meal prior to massage is not recommended). If it is your first visit to Innovative Healing Center arrive at least 10 minutes early to complete the necessary forms.